From pipe organ to celtic harps, from contemporary to jazz to madrigals, from classical choral repertoire to instrumental ensembles, the rich Methodist tradition of music as worship, praise, and a source of joy continues at St. Matthew’s to the present day. St. Matthew’s Senior Choir is comprised of 20 to 25 enthusiastic singers who provide musical leadership in worship each Sunday morning. The Choir’s repertoire ranges from Renaissance to Twenty-first Century, providing one of the most eclectic choral programs in the region. At any given service one can expect to hear an anthem by one of the church Masters, an inspiring descant to a familiar hymn and perhaps a newly composed benediction. All choral music and hymns used at Sunday worship services are based on the lectionary readings for the day. The tradition of choral excellence dates from the installation of the first organ in 1873. 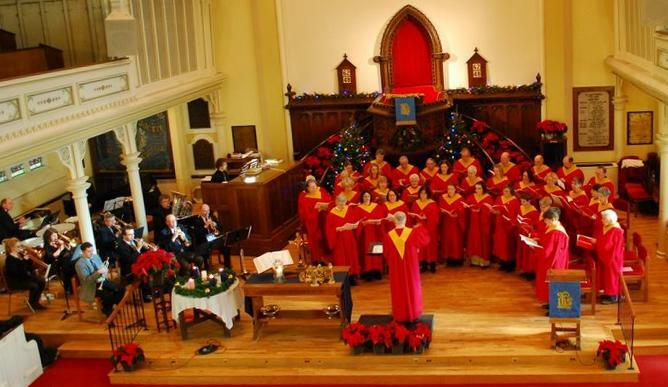 Since that time, the Choir has performed many of the acknowledged choral masterworks including Brahms’ Requiem, Mendelssohn’s Elijah, Handel’s Messiah (with Symphony Nova Scotia), Bach’s St. Matthew Passion, Fauré’s Requiem, Rutter’s Gloria and Jenkins’ The Peacemakers. New voices are most welcome! 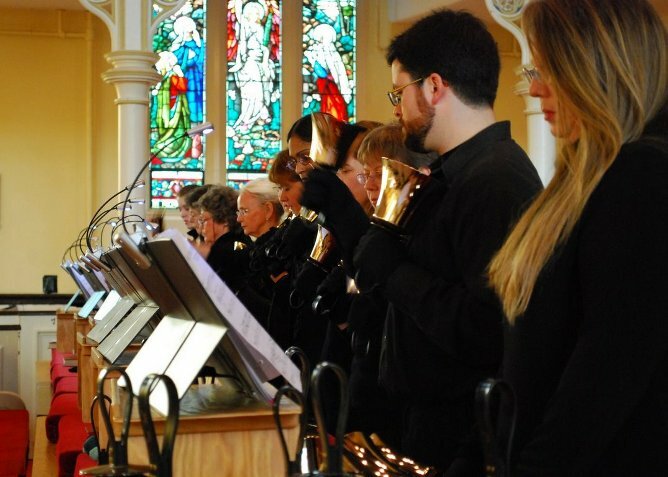 Since the fall of 1998, St. Matthew’s four-octave Handbell Choir, AcabellA, has played at numerous Sunday services, concerts and other churches. New ringers are invited to join this fun group! This 35-40 voice group meets Fridays 12:15-1:15 in the Sanctuary. The Lunch Bunch is a SATB choir, comprised mainly of singers working in the downtown area, who gather each week for the sheer joy of singing and to shake off work-week stress. The choir is not performance oriented, although, when enough choral repertoire for a mini-concert has reached a performance level, passers-by are invited to bring their lunch and enjoy the group’s enthusiastic singing. New members are always welcome to become part of this group. Check us out on Facebook!